Trend Alert: Fall’13 Jewelry Trends! While meteorological signs of summer fading are faint, fashion is headed for the fall season and that means it is time for a wardrobe revamp. However given status quo temperatures, one would be better off starting with an accessories overhaul and that includes a jewelry box makeover. Statement jewelry is not letting up anytime soon however that no longer implies strict overlapping with oversize pieces. There are plenty of more options for those who prefer minimalist accessorizing. Charmed: Perfect examples of more delicate pieces for fall are charm bracelets and necklaces. They are feminine and subtle but can also make a statement if the charms involve Alexander McQueen skulls or Dolce & Gabbana black and gold cherubs. The more exotic your charms the bigger the statement they make. Enamel Enamored: An equally dainty but solid style accessory are the Alexander McQueen enamel bracelet bangles. Just pair three or four different colors together and leave them on as permanent arm candy since they go well with most of your everyday looks. Caged: The Gladiator gold plated cuff is at the top of the most wanted accessories list for its all-in-one showstopper quality. Instead of spending time layering up you just need to slip on a single piece of metal and step out. The variety of cage pattern carved cuffs however is taking the lead on the flat curved metallic style. Animal Instincts: Be it exotic skin or actual animals and insects, they are more than welcome when it comes to jewelry. Popular species are the dragonfly, panther, and serpents in particular. There is something about having a snake wrapped around your neck or lethal feline faces on your ear lobes that emanates a fearless confidence that directly connects with your inner stylista. Needless to say this is a strictly fall only trend. Ringing in Fall: That one ring that is stunning and yet could easily punch an eye out is a must have fall accessory. Oversize semi precious stones such as the Saint Laurent all time favorite encompasses all seasons. Apart from baubles we are currently excited by stacked rings, particular the way they were worn at the Chanel Fall Couture 2013 show as upper finger rings and on every finger. It just proves again that bigger is not always better. 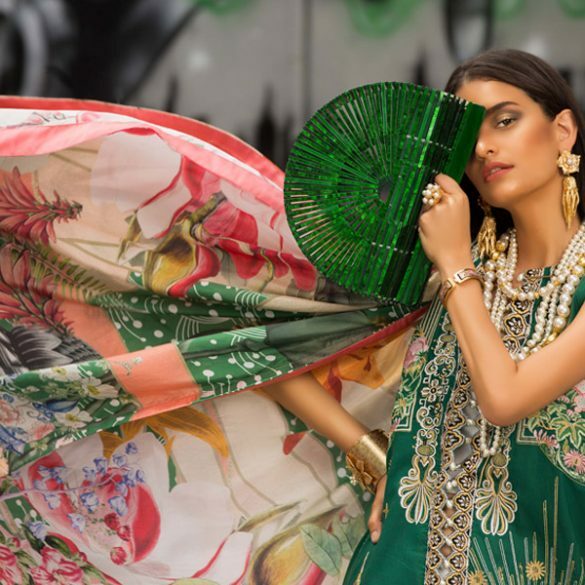 Maatha Patti: Largely considered a bridal trend, the Maatha Patti is back with a vengeance and this wedding season we suspect not just the bride but more and more guests will be spotted wearing the Sub-continental ethnic statement piece. Feather Fever: Tribal inspired feathered necklaces and earrings are increasingly popular accessory styles off late in fact even feathered clutches are very much in vogue for their feminine undertones. The feather necklace was even spotted at the Sana Safinaz PFDC Fashion Show as part of their new accessories collective. Stemming from the animal family trend, it looks very chic when worn correctly. Layering Mathematics: This is a technique that looks simpler to put together than it is in reality, however if you can assemble it properly, it looks great on almost everything, from a simple white tee to cocktail wear. You will need at least two necklaces of different lengths. They can be simple chains with charms or you can add more dimension with heavier statement pieces. While simple pendants can overlap, chunkier piece should separate to avoid looking like a blob. Try it till you get it right! Weekend Obsession: Charlotte Olympia Lucky Stars!